Happy Friday, ladies! It sure doesn't seem like a short work week to me. The kids are out of school and we're looking forward to a great summer. 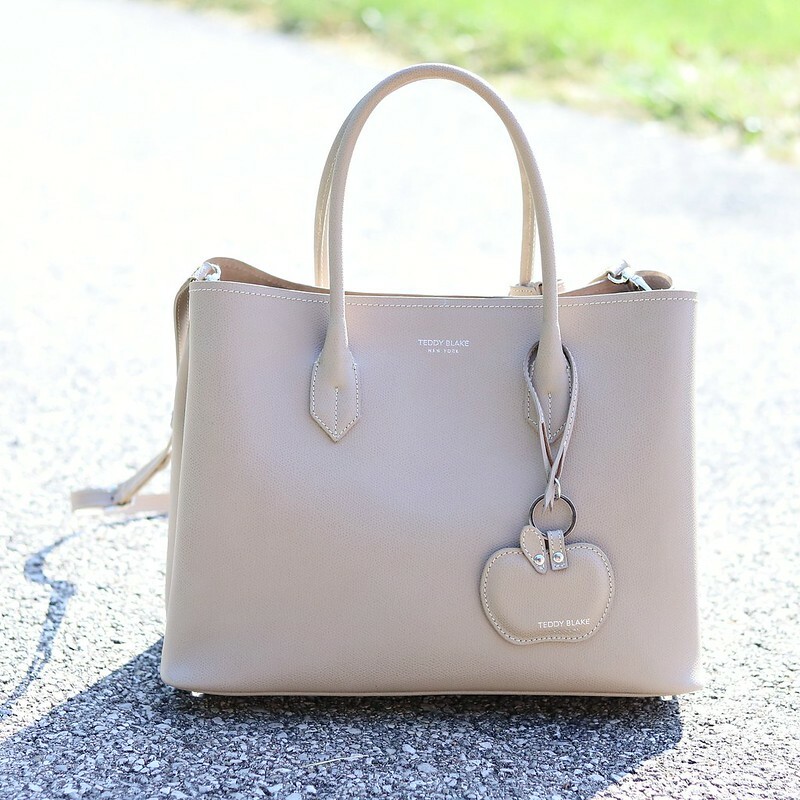 For this week's handbag chit chat, I am going to review this beautiful Teddy Blake Vanessa tote. 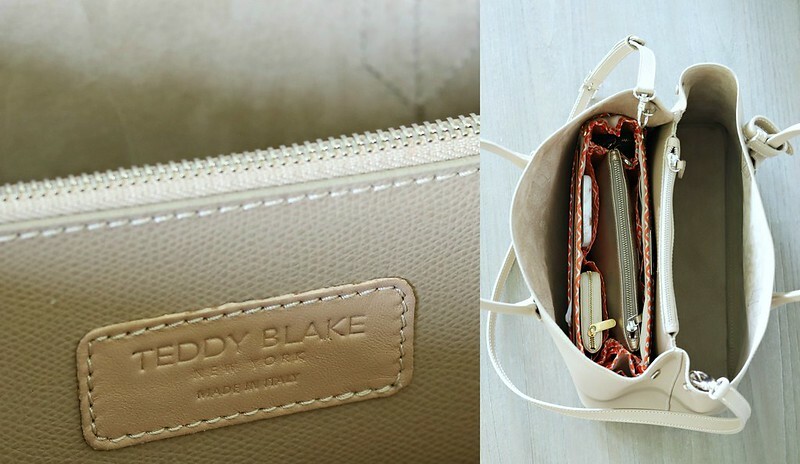 I've worked with Teddy Blake in the past and am happy to review another of their bags just in case you're interested. This bag is not as popular as the Caty or the Eva so I hope you'll find this review helpful. As you can tell, the Vanessa is very reminiscent of the Prada Cuir double tote (which I reviewed here). 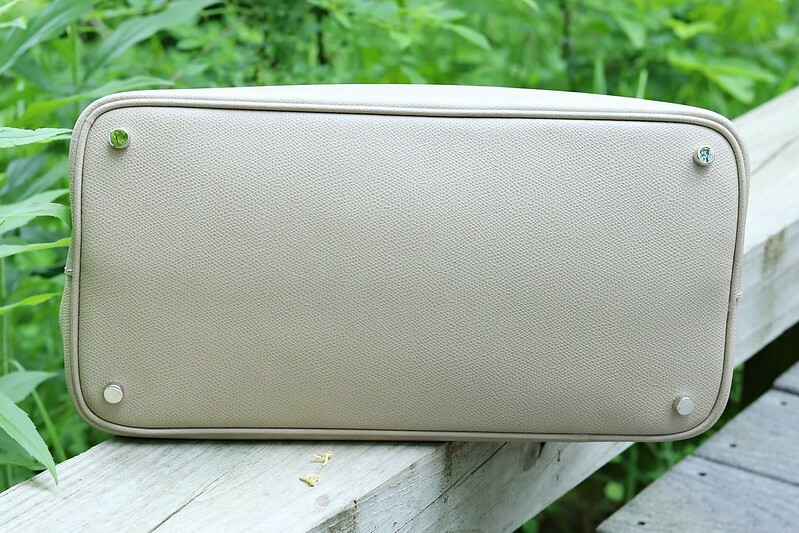 This bag is made out of textured calfskin leather. It's not as rigid as the signature Prada saffiano leather but still gives structure to the bag. I love the texture and feel of the leather. Not to mention, it smells amazing! Similar to the Prada Cuir, the Vanessa features 3 compartments (two open compartments and one middle compartment with zipper for security purposes). There are no pocket on the inside of the bag. Since it's a tote, there is not much organization. To keep my things organized, I use this purse insert and it works like a charm. There are pockets for my phone, my cosmetic pouch, my wallet and keys. I can use the other open compartment for files and folder. Let's talk about the color! The Vanessa is available in 7 different colors. I chose the beige because I wanted something neutral that I can wear to work everyday. This color literally goes with everything and anything. As you can see in the photo above, the color works well with both printed and solid pieces. Not to mention, this color can be worn any time of the year. If you don't want to spend $2800 on the Prada Cuir, the Vanessa is a fantastic option. I don't know about you but I am always nervous wearing an expensive handbag to work. Plus, my kids always throw their stuff on top of my bag when they're in the car. For under $500, this classic silhouette will never go out of style.